Yamaha Motor Company Limited is a Japanese manufacturer of motorcycles, marine products such as boats and outboard motors, and other motorized products. 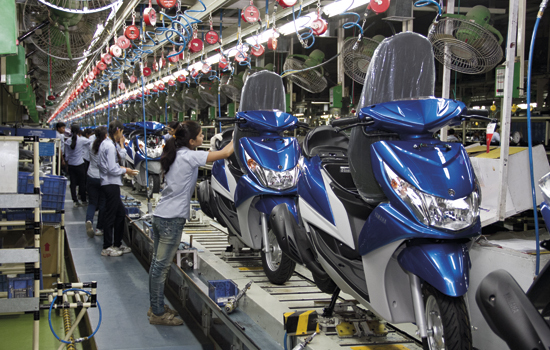 The company was established in 1955 upon separation from Yamaha Corporation (however Yamaha Corporation is still the largest shareholder with 12.21%, while Toyota Motor Corporation is the 5th largest shareholder with 3.58% of the shares, as of June 30, 2015), and is headquartered in Iwata, Shizuoka, Japan. The company conducts development, production and marketing operations through 109 consolidated subsidiaries as of 2012.